As silver climbs to ever higher levels, alternative metals are starting to gain in popularity. Lead-free pewter has a nice heft and cool, bluish silver look. This ring has a scaled design that has a primitive, handmade look. It's a cool, masculine ring that is priced right! 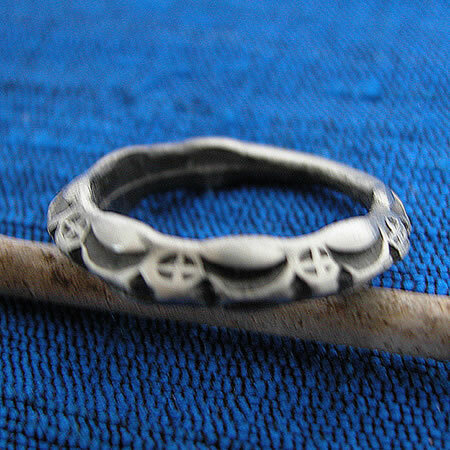 Lead-free pewter ring handmade in Thailand.